We Are The (CNP Expo Awards) Champions, My Friends! We have some exciting news! As you may know, this week we are at the CNP Expo in Orlando, FL. Every year, the CNP Expo holds an awards ceremony honoring the companies, programs and solutions that have distinguished themselves in the card-not-present space during the past year. The winners were announced today at the show and we are VERY happy to announce that our Alternative Payment Solution & Subscription Billing Program have both earned a Customer Choice Award and the latter has been awarded Best-in-Category as well at the 4th Annual Card Not Present (CNP) Awards!! As Customer Choice for Best Alternative Payment Solution, we were recognized for providing the solution that most effectively facilitates CNP transactions without requiring the consumer to directly use a bank-issued credit card or debit card. Today, more than half of our merchants offer alternative payment types, and they account for 10% of all sales. 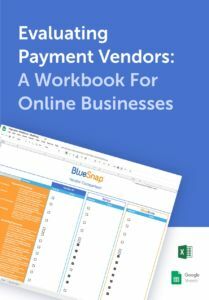 Moreover, 21% of subscription sales volume is paid via alternative payment method. Our alternative payment solution is unique in its ability to support subscription billing with any alternative payment type – even those that do not natively support recurring payments, like wire and bank transfers, purchase orders and e-checks. As Best-In-Category and Customer Choice for Best Subscription Billing Program, we were recognized for offering the best solution for automatic, recurring billing. Although 24% of our merchants use subscriptions, 43% of total sales volume comes from subscription transactions and 21% comes from renewals. Indeed, merchants that use our Smart Subscriptions are able to convert 25% more shoppers than average. Our subscription billing program is unique in its ability to support subscription billing withany payment type – even those that do not natively support subscription payments, like wire transfers, purchase orders and e-checks. Overall, our global capabilities and smart features made us stand out from the competition. We support 180 countries, processing payments in 29 languages, 60 currencies and 110 payment types. Our gateway drives high conversions through dynamic localization by using a technology that recognizes IP addresses and automatically serves up local languages, currencies and payment types in the merchant’s shopping cart. We also increase conversions with Intelligent Payment Routing, a technology that directs transactions to the optimal acquiring bank and switches when needed to rescue sales that might otherwise be aborted. We are so happy to be honored by our friends and colleagues at the CNP Expo Awards. Congrats to the other winners as well! We would especially like to thank our customers, for using our products and services and for taking the time to vote for us and bestow upon us two Customer Choice awards. We will continue to work hard to earn your business and deliver the best in-class e-commerce solutions and services. Thank you for your business and your support. We will celebrate in your honor.